Getting into Qatar was fairly easy. I had a bit of a wait at immigration, but it was easy, no need for a visa. I had booked a limo for transportation to and from the hotel through Gulf Adventures. 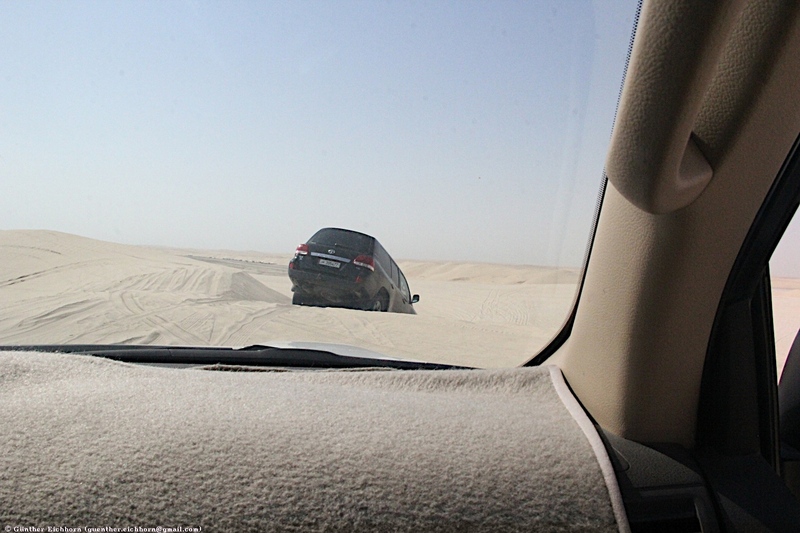 As opposed to the limo in Bahrain and Kuwait, Gulf Adventures worked out very well. The driver was waiting for me at the airport. For the return to the airport the driver was right on time. 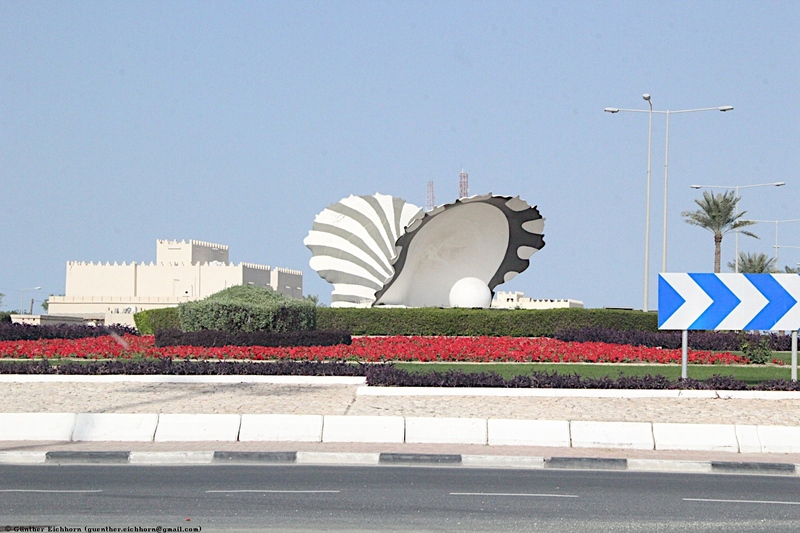 I had booked two private tours in Qatar through a tour organizer Arabian Adventures. This worked out well, I enjoyed the two tours. 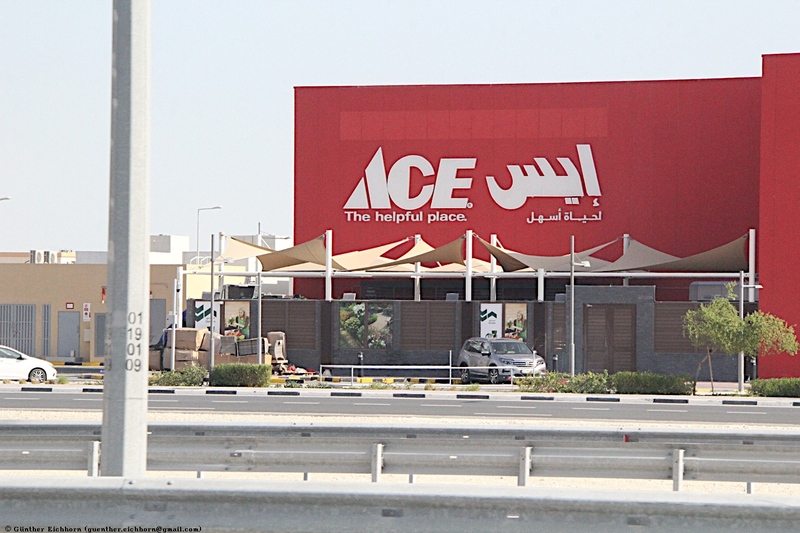 I saw basically all of Qatar. 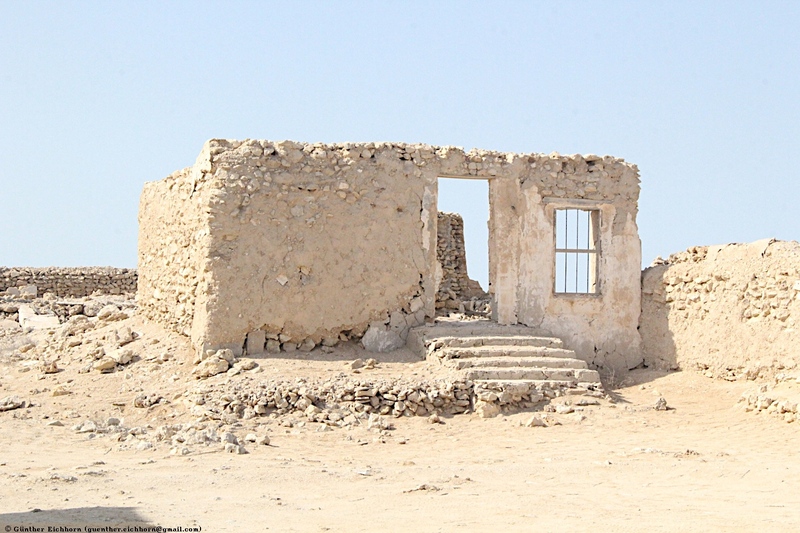 The first tour was to the northern parts of Qatar, a full day tour. 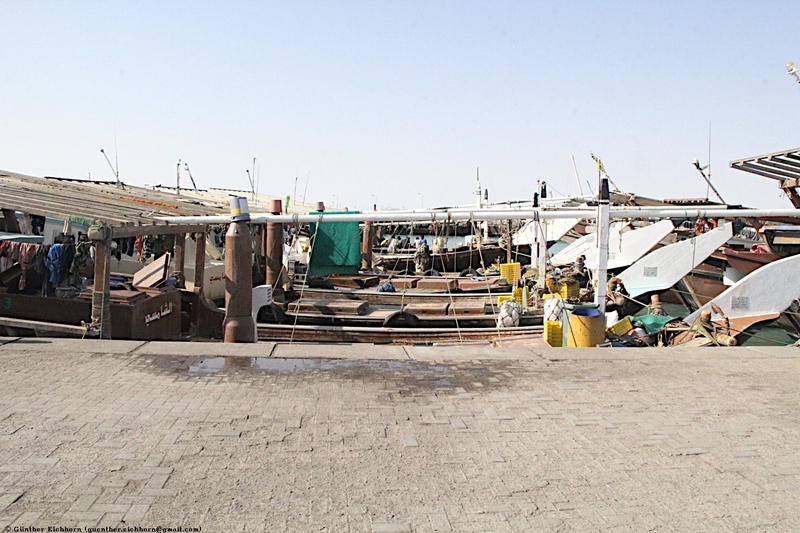 I visited some old fishing villages, Al Zubarah, and some of the last mangroves in Qatar. 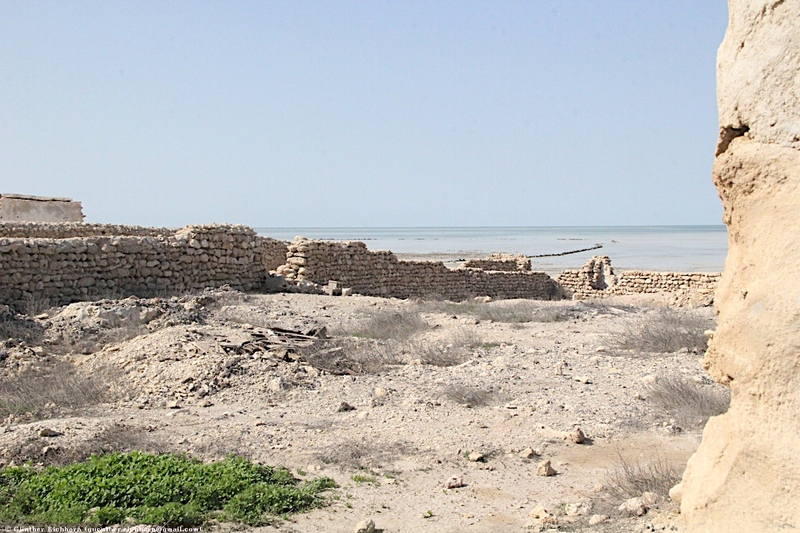 Al Zubarah Archaeological Site is a UNESCO World Heritage Site. 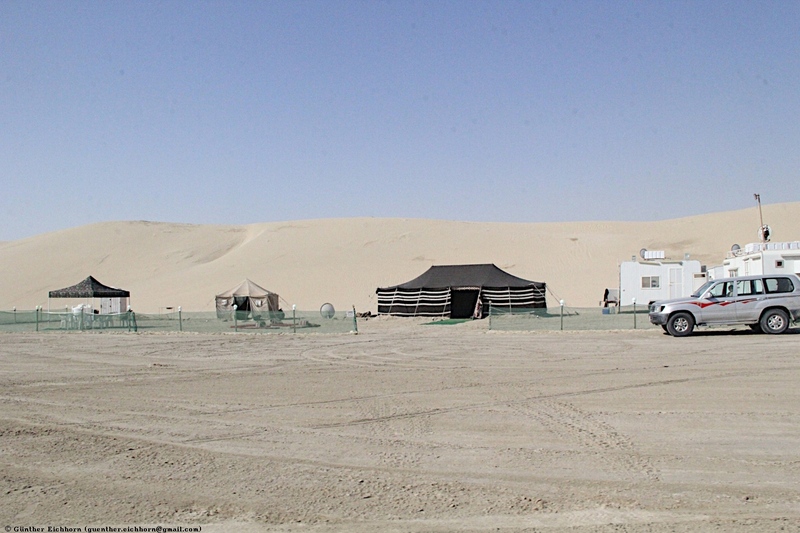 The second tour was a Desert Safari. 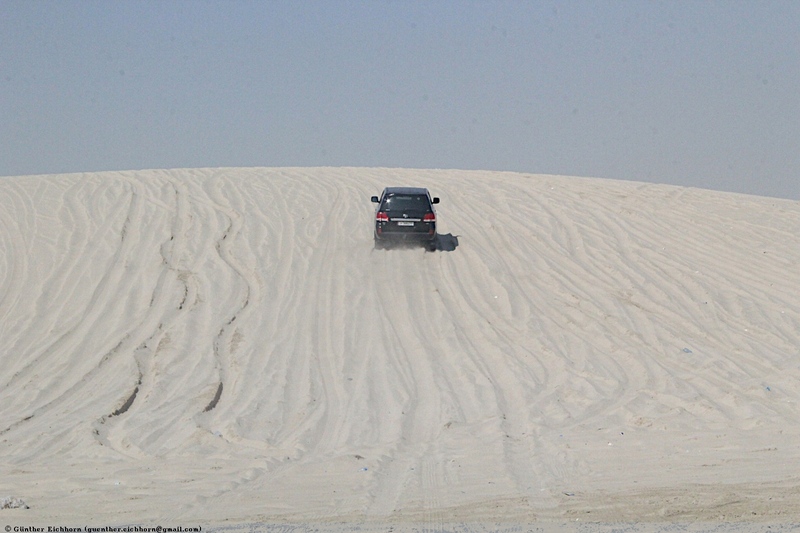 I was on a 4-WD Toyota Land Cruiser. 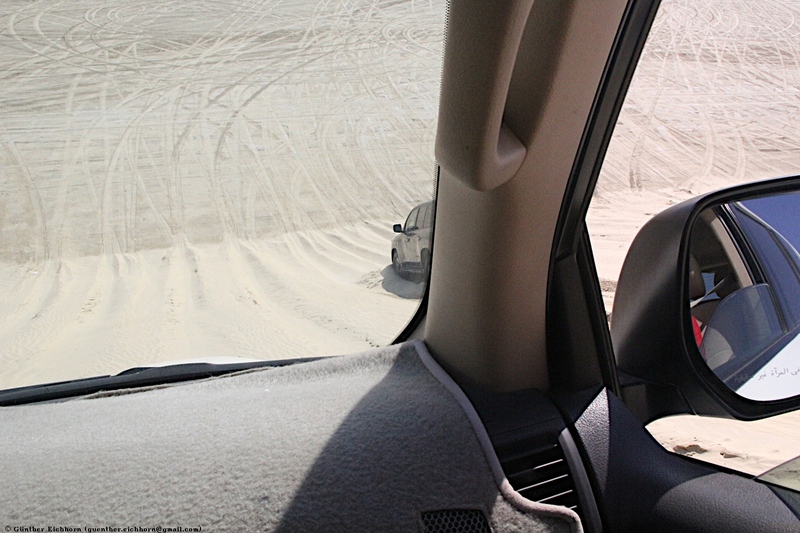 When we got to sand dunes, the driver deflated the tires quite a bit to be able to handle the sand dunes. 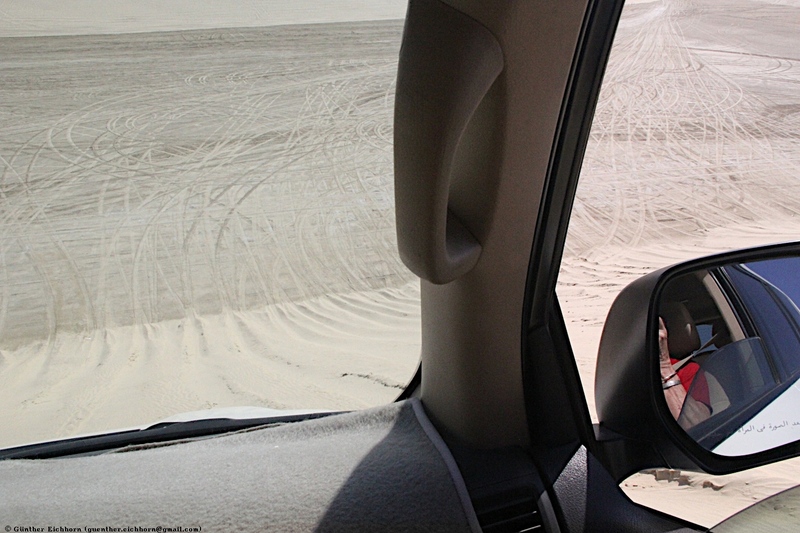 We then drove through the sand dunes, including going down the really steep sides of some of the dunes. It was a fun drive. 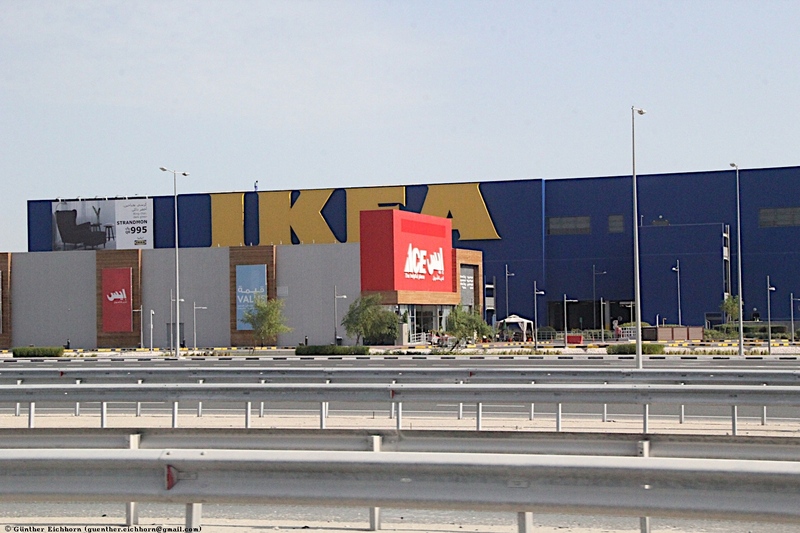 Qatar (like Bahrain and Kuwait) is fairly expensive. Traffic is very heavy around the city. 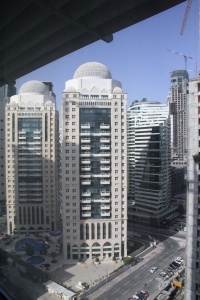 Like Bahrain and Kuwait, the city is full of exotic looking skyscrapers. All of that has been built in the last 15 years or so. The city is safe to visit, it is like any metropolitan city. 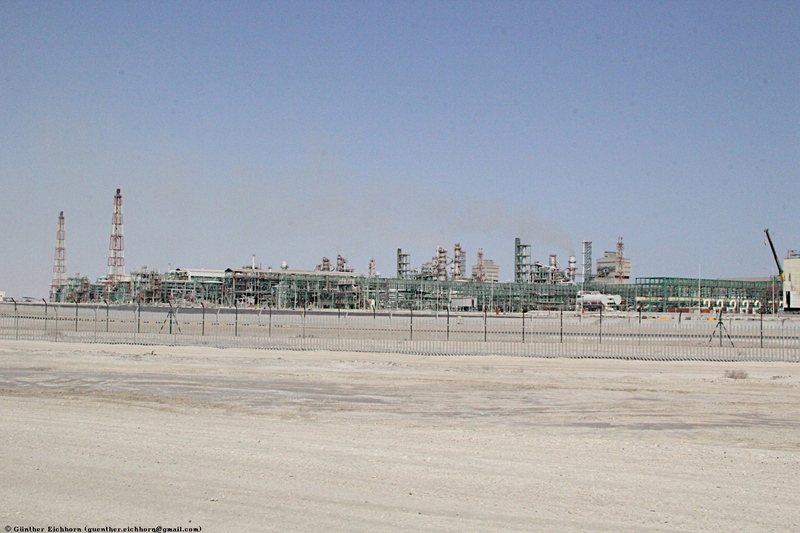 Qatar is a rich country because of the oil. 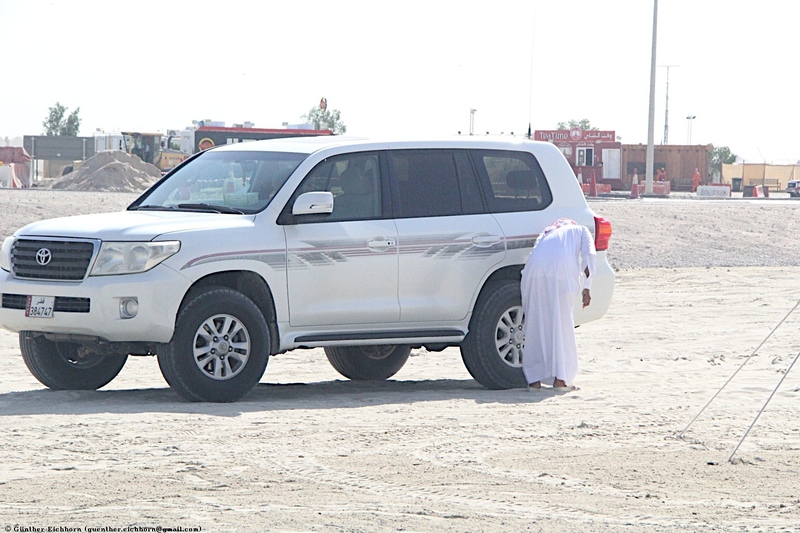 All the labor is done by foreigners, the Qataries don't do regular work. They live separate from the guest workers. 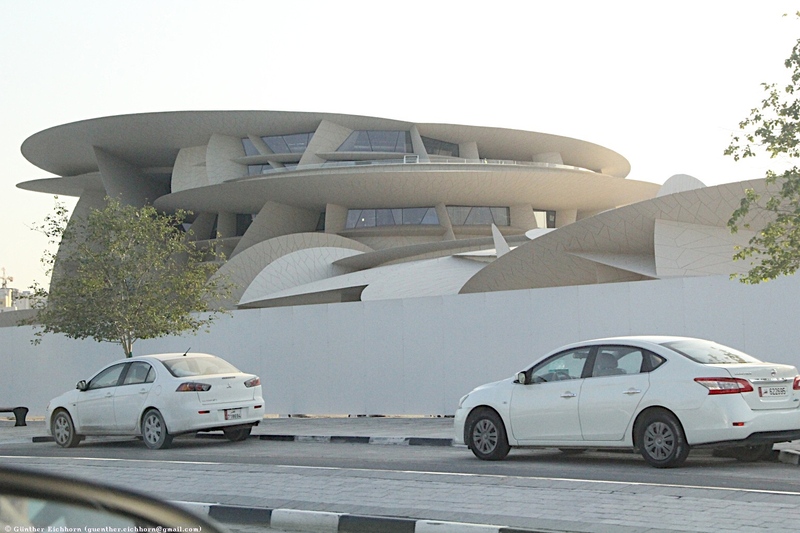 I don't think I saw any real Qataries while I was there. 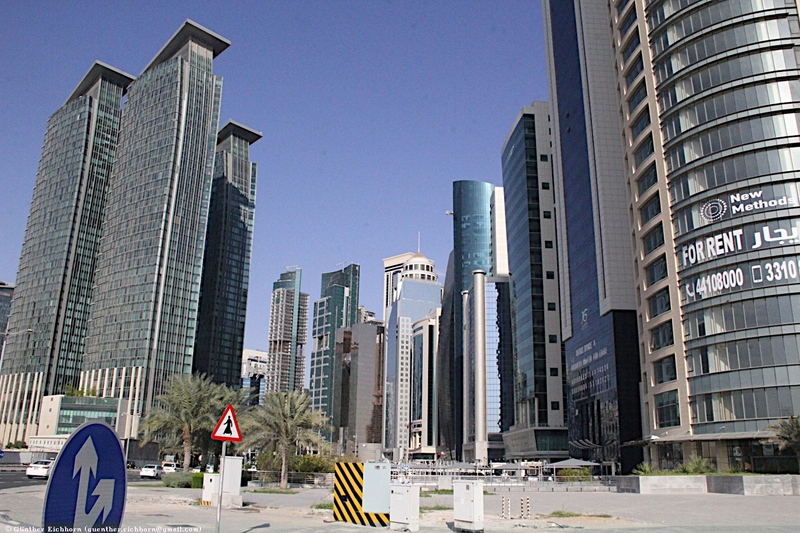 There are no taxes in Qatar, construction, health care, schools, etc are covered from oil revenue. 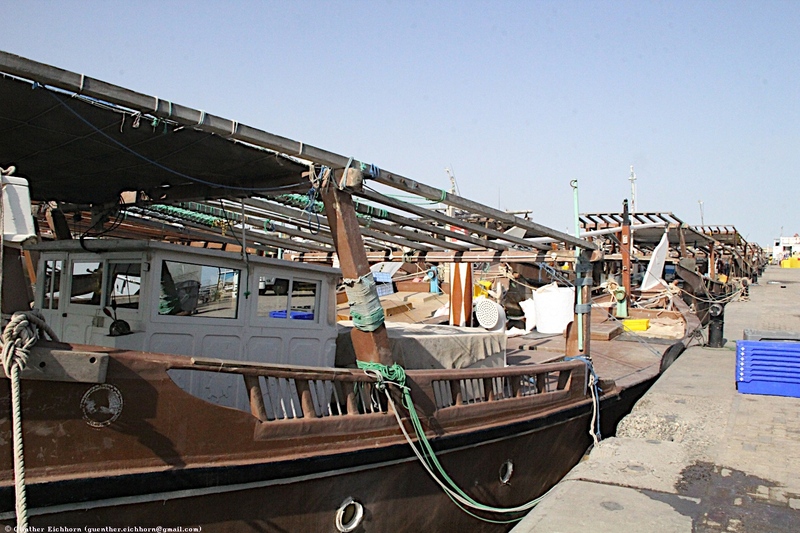 Qataries are actually in the minority, most of the people in Qatar are foreign migrant workers. 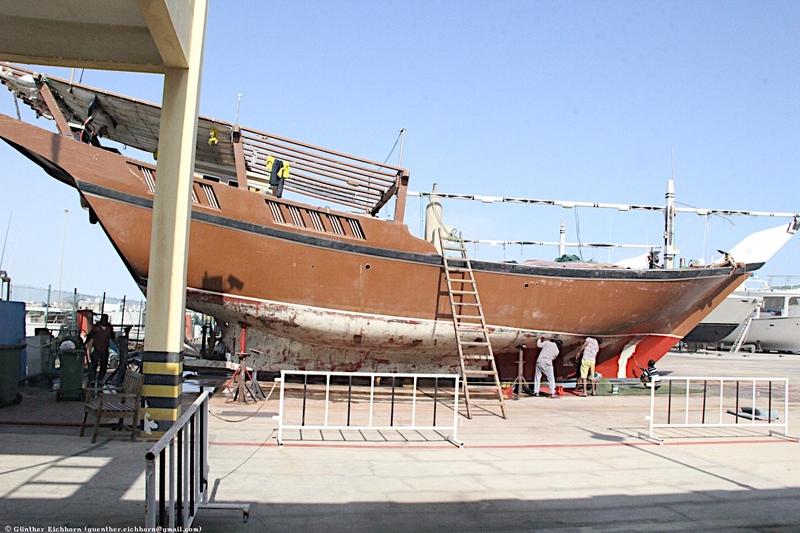 Qataries make up only about 12% of the population, the majority are migrant workers from countries like India, Pakistan, the Philippines, etc. 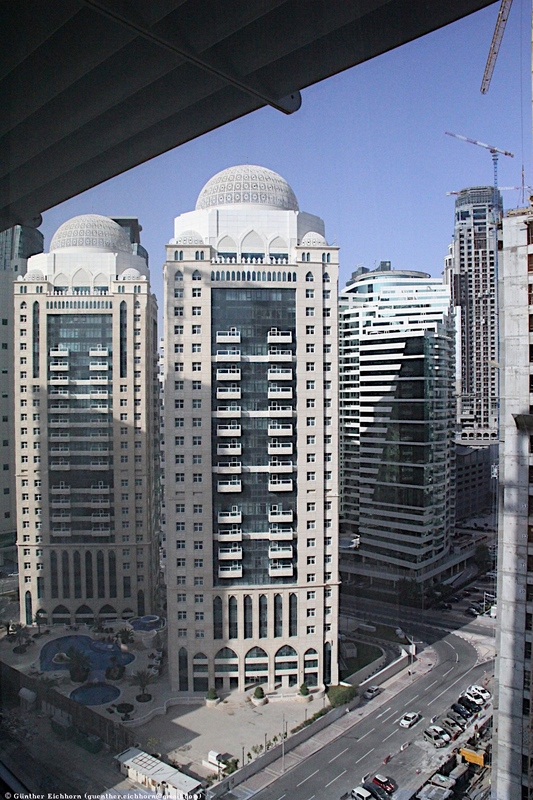 From the Wikipedia entry for Doha: Doha is the capital and most populous city of the State of Qatar. Doha has a population of 1,351,000 in the city proper. 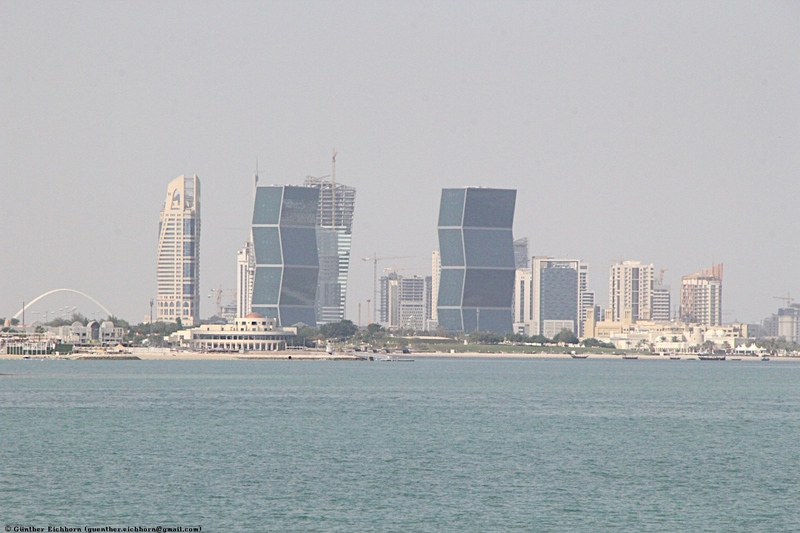 The city is located on the coast of the Persian Gulf in the east of the country. 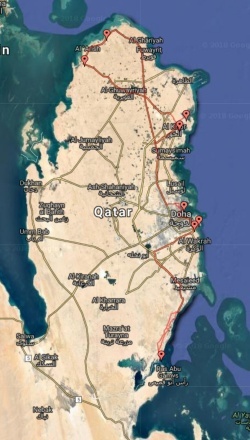 It is Qatar's fastest growing city, with over 50% of the nation's population living in Doha or its surrounding suburbs, and it is also the economic centre of the country. 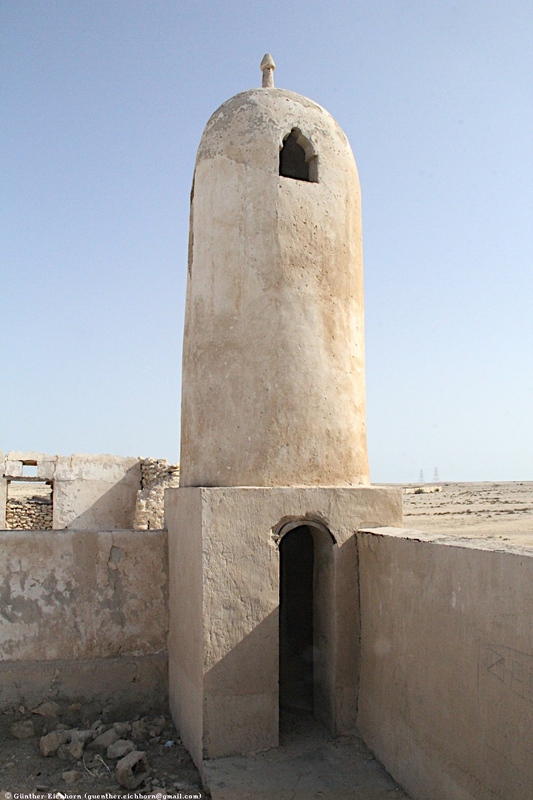 Doha was founded in the 1820s as an offshoot of Al Bidda. It was officially declared as the country's capital in 1971, when Qatar gained independence from being a British Protectorate. 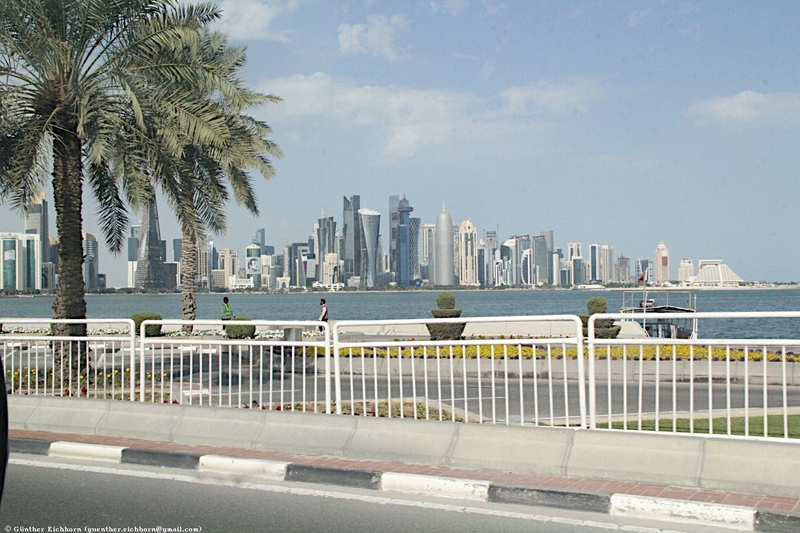 As the commercial capital of Qatar and one of the emergent financial centres in the Middle East, Doha is considered a world city by the Globalization and World Cities Research Network. 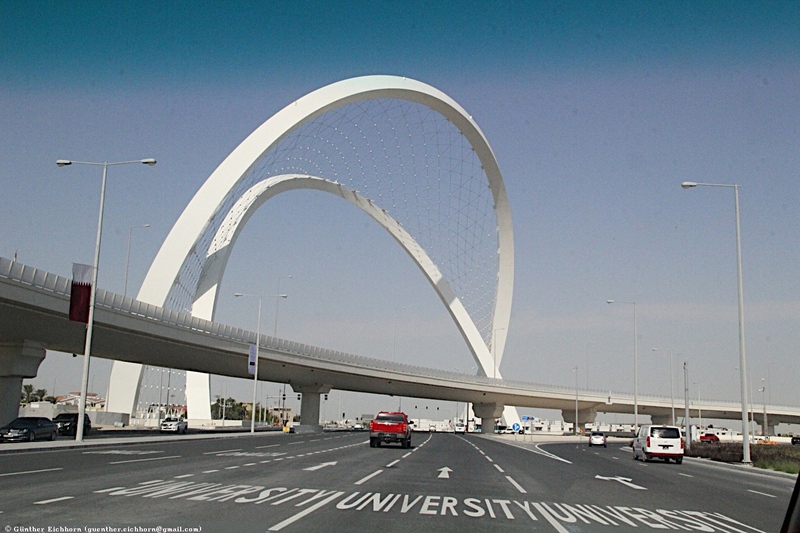 Doha accommodates Education City, an area devoted to research and education. 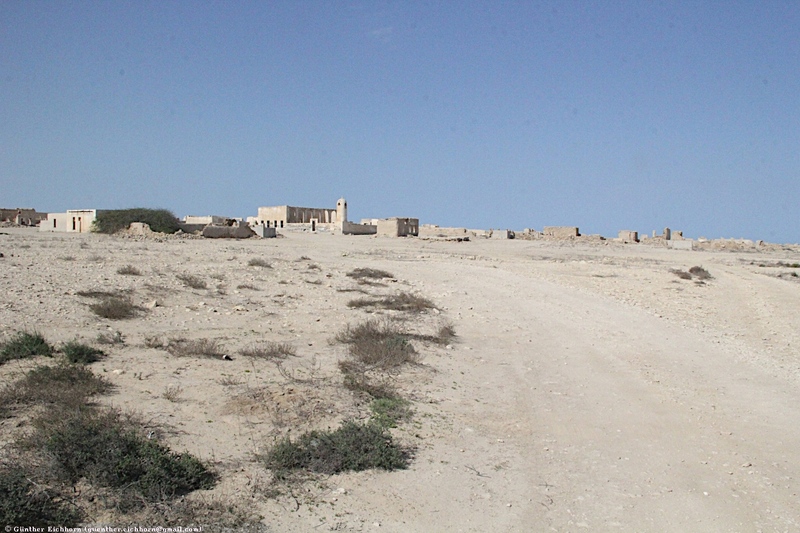 Al Jumail is a 19th century fishing and pearling village on the west coast of Qatar. 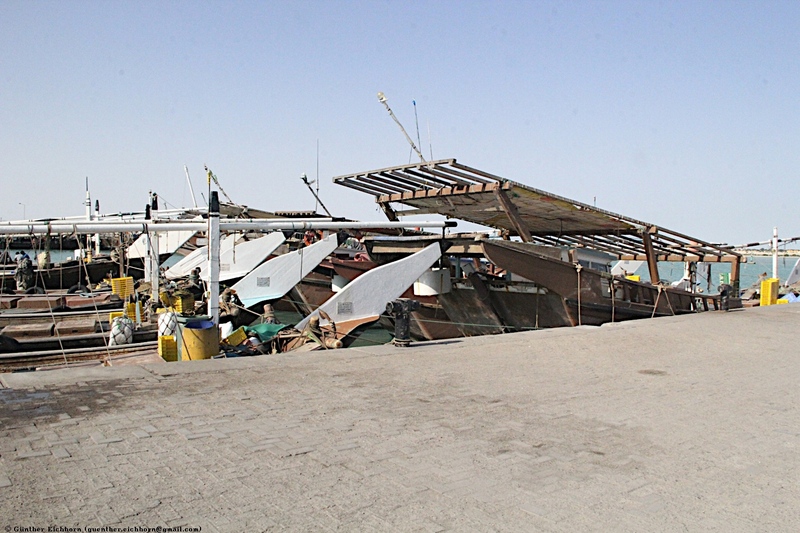 It was abandoned before the oil boom. 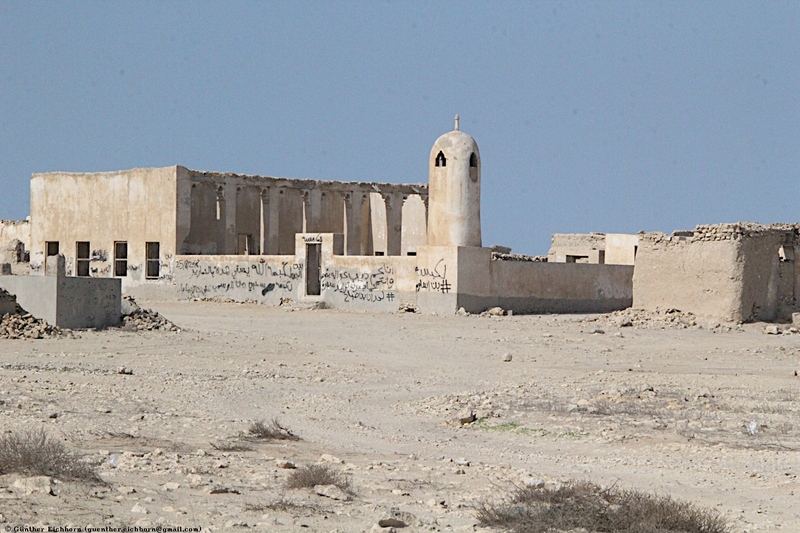 Al Zubara Fort is a historic Qatari military fortress built under the oversight of Sheikh Abdullah bin Jassim Al Thani in 1938. 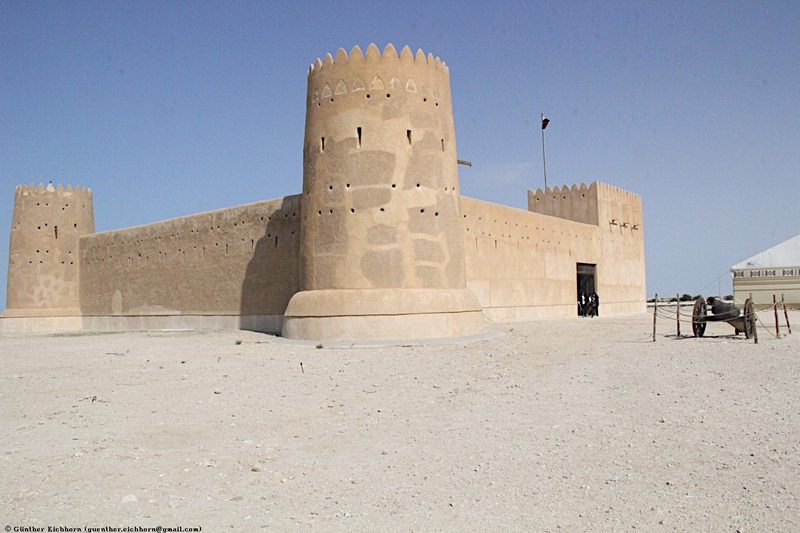 The Fort is part of the Al Zubarah Archaeological Site, a UNESCO World Heritage Site. 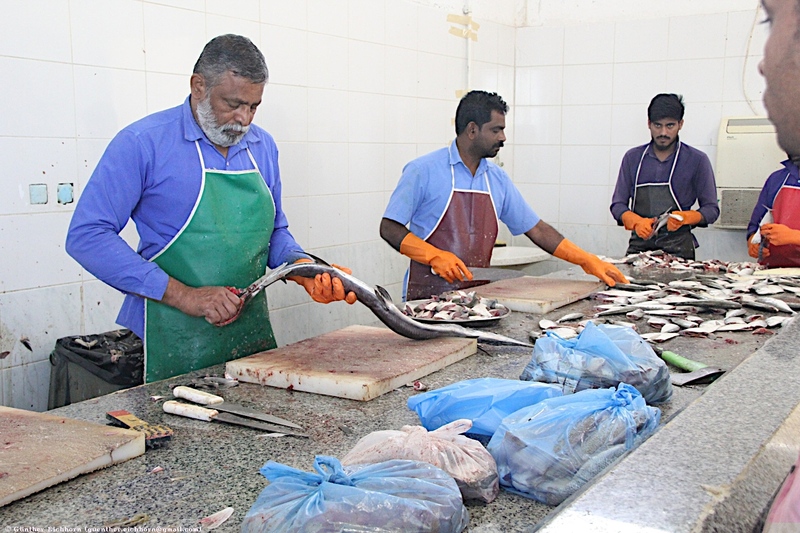 Al Khor is (after Doha) the second largest fishing town in Qatar. 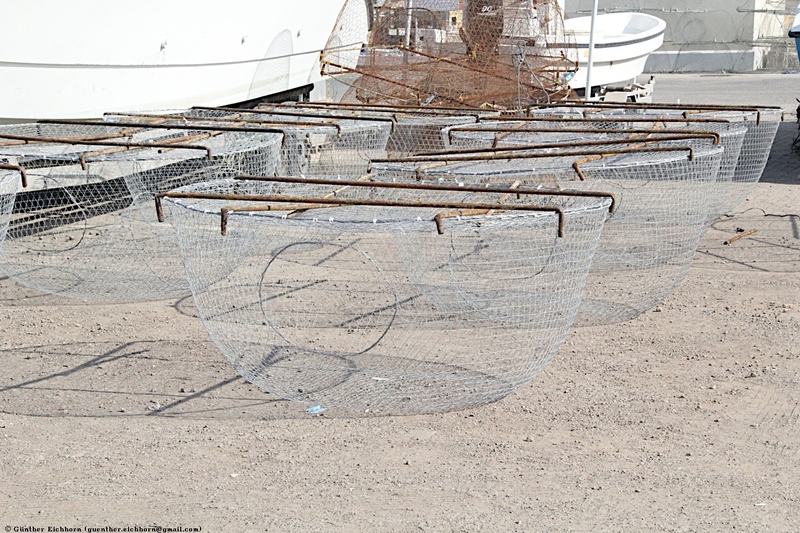 In 2001 there were 176 vessels and 1613 fishermen. 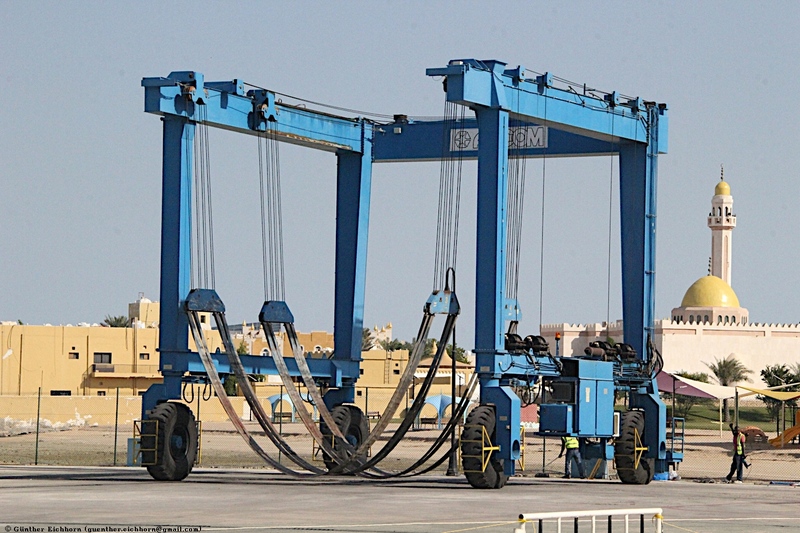 According to my guide, the only shipyard in Qatar is in Al Khor. 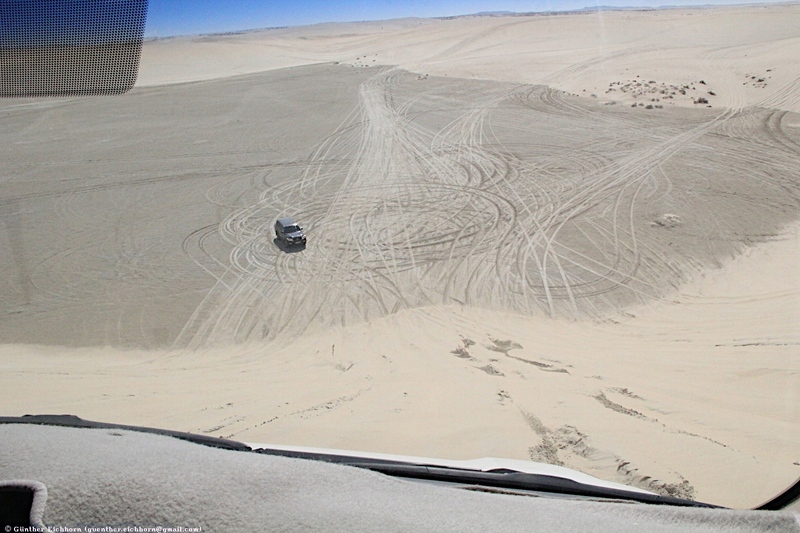 Racing on Toyota Land Cruisers through sand dunes is a popular pastime. 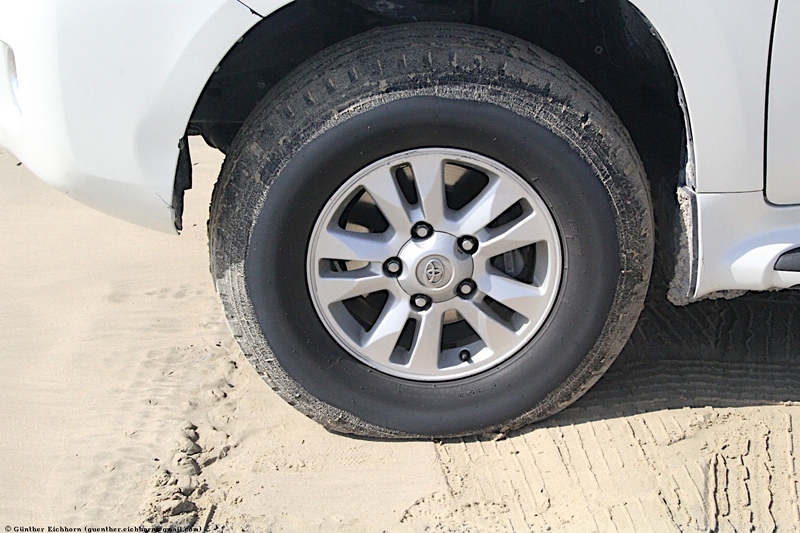 The drivers deflate the tires quite a bit to have better traction in the sand. The ascends were fairly steep, so you need good traction with the deflated tires. Going down the dunes is another matter. I think the steepest side that we went down had an angle of at least 45°. It was a wild ride. 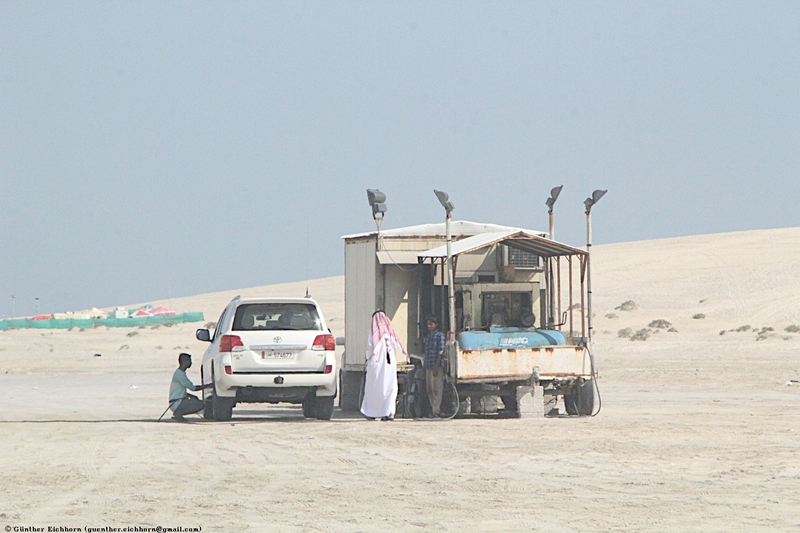 The dunes were some 30-50 m (100-160 ft) high.